Chewy chocolate cookies that are gluten-free, high-protein, easy, and delicious! Makes 12 cookies (4 servings). 2. Mix almond butter and water until combined. 3. Add stevia. Mix well. 4. Add Warrior Blend protein and cocoa. Mix well. 6. Bake for about 15 minutes (or dehydrate at 115F for 12-14 hours). 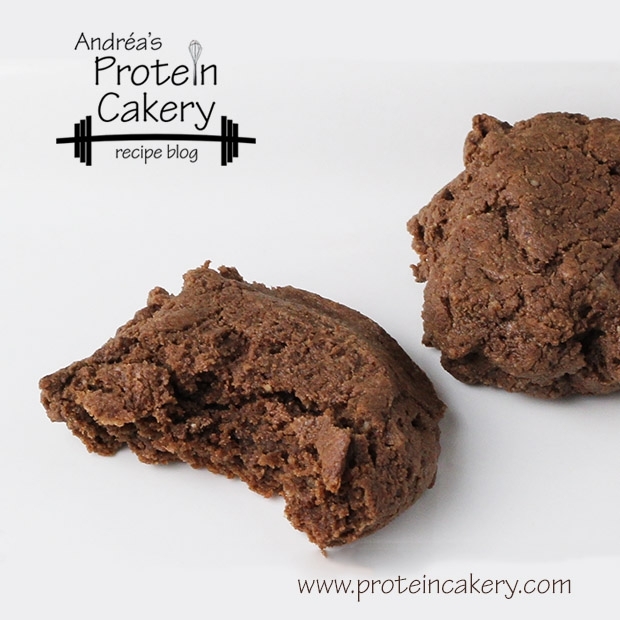 A note about substitutions: In this recipe, you might try substituting chocolate rice protein powder for the chocolate Warrior Blend protein powder. Using whey would give it a very different (probably undesirable) texture.